Ever wondered about Connecticut’s Missing Middle in housing stock? 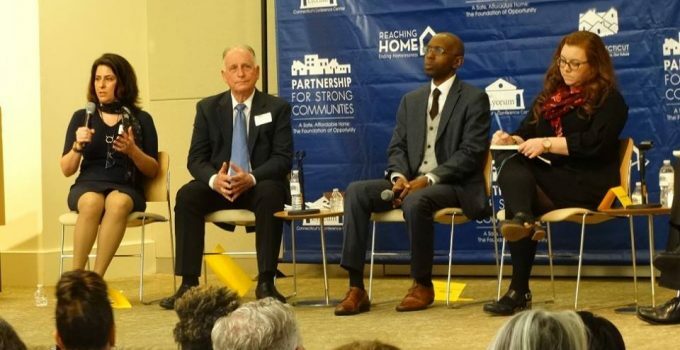 HDF’s very own Director of Innovation, Elyse Pitts, was part of a Partnership for Strong Communities panel discussion yesterday that tackled that very problem. The IForum 2019 panel spoke about on-the-ground strategies that could help restore small multifamily housing in the state, particularly for low income families- a cause very close to HDF’s heart! Missing Middle Housing refers to small multifamily housing, a critical form of housing for lo income families in Connecticut, where 57% of total rental stock can be classified as small multifamily. However, 51% of small multifamily stock is at least 60 years old. To address current problems and prevent larger issues arising in the future, the panel discussion at IForum 2019 investigated how the housing industry should address this Missing Middle housing crisis. Find out more about HDF’s work in commercial real estate!